The Planning Commission also recommended the rezone of 30 acres on the west side of Mars Hill Road and SR 316 west of U.S. 78 for an electric supply business and of an acre in Bogart for an office and showroom. The recommendation for the Bogart rezone goes to the Bogart City Council July 11 for final action, while the recommendations for the other three rezones are scheduled to be on the agenda of the Oconee County Board of Commissioners on July 5. 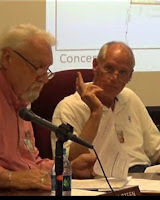 Land Planner Ken Beall told the Planning Commission his client, Stonebridge Partners LLC, had someone interested in putting the two fast food restaurants on just less than two acres west of Butler’s Crossing and near Oconee Elementary School and Oconee Middle School. The Planning Commission expressed only a modicum of concern about the consequences of the development of a single-building shopping center at what was once called Ray’s Crossing. The shopping center is to revive that name. The Commission added an exclusion of a fuel station to the rezone conditions because of that concern. Abe Abouhamdan, representing the land owner, Toccao 85 LP, accepted that restriction but said he wanted to retain the right to include a convenience store. A pharmacy also is mentioned in the planning documents. Abouhamdan is the chair of the county’s Land Use and Transportation Planning Committee. Residents of Lake Wellbrook subdivision and Phinizy Court had been very vocal last May when the county rezoned land fronting on Welbrook Road and U.S. 441 for a Presbyterian Homes of Georgia continuing care retirement center. They claimed the Welbrook Road intersection with Hog Mountain Road, as well as the Hog Mountain Road and U.S. 441 intersection, already were very congested. No citizens spoke in favor of or in opposition to any of the rezone requests on Monday night. The planning documents for the rezone indicate 492 Average Daily Trips generated by the rezone. The proposed shopping center will have right-in and right-out access from U.S. 441 very near the Hog Mountain Road intersection. It also will have access to a stub of Old Mog Mountain Road and via that stub to Hog Mountain Road opposite the entrance to the RaceTrac fuel station. Oconee County Public Works Director Emil Beshara told me in an email message on Tuesday that traffic would be allowed to turn left on to Hog Mountain Road across the single lane of oncoming traffic and into the two lanes of traffic flowing from Hog Mountain Road to U.S. 441. Beshara said drivers wishing to travel north on U.S. 441 from the shopping Center also could exit via the right-out on U.S. 441 and immediately cross two lanes of traffic and make at U-turn at the Hog Mountain Road intersection. 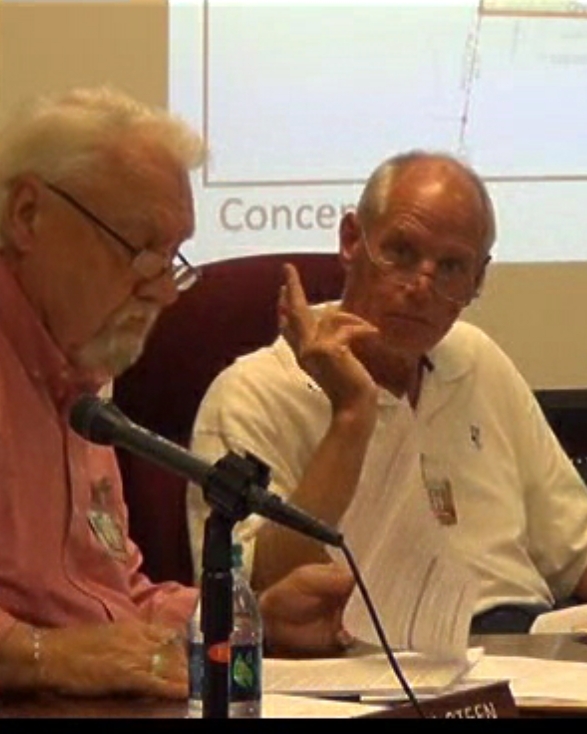 The full video of the Planning Commission meeting is below. NOTE: In response to the request in the comment, I am posting the link to the concept plan HERE. Can you post the concept plan for the fast food restaurant? I am certainly not in favor but was interested in the exact location. The description of the traffic flow from the proposed building at Ray's Corner sounds crazy. Of course, the conflict of interest is obvious. The chair of land use and transportation should not be representing companies in rezones. Have the Lake Wellbrook people given up or are they unaware of the issue? I just put a link to the concept plan at the bottom of the post, beneath the video of the meeting.